This entry was posted in Bible, Religion and tagged Atheism, Bible, Marriage, Penn Jillette, Polygamy, Rachel and Leah, Solomon, Theology, Timothy Keller by alancantrell. Bookmark the permalink. Well, that’s shows the simple fact that you can cherry pick your way through the bible, if you want to, which simply proves that it is a completely useless old book, that anyone can interpret the way he wants, effectively putting his words into his personal god’s mouth. Want to justify polygamy? No problem. Want to ban it? Also not a problem. Slavery? Great idea. Oh, you don’t like slavery? Well, of course the bible is also against it. etc.etc.etc.etc. Any literary work, and especially any religious book, is open to various interpretations. That doesn’t make it a “completely useless old book.” I could pick the transcript of a recent presidential speech and cherry pick phrases to support my own views, but that doesn’t mean the speech was worthless. And just because verses can be picked and chosen does not mean that all interpretations of a piece of writing are created equal. Typically the most comprehensive view, when informed by the cultural and historical factors at the time of writing and the systematic teaching of the rest of the work, is the most substantial view. I won’t go into detail on slavery here, but since you mention it, the slavery mentioned in the Bible was an indentured servitude in which masters were told to treat their slaves with kindness. It cannot be compared to more recent atrocities. 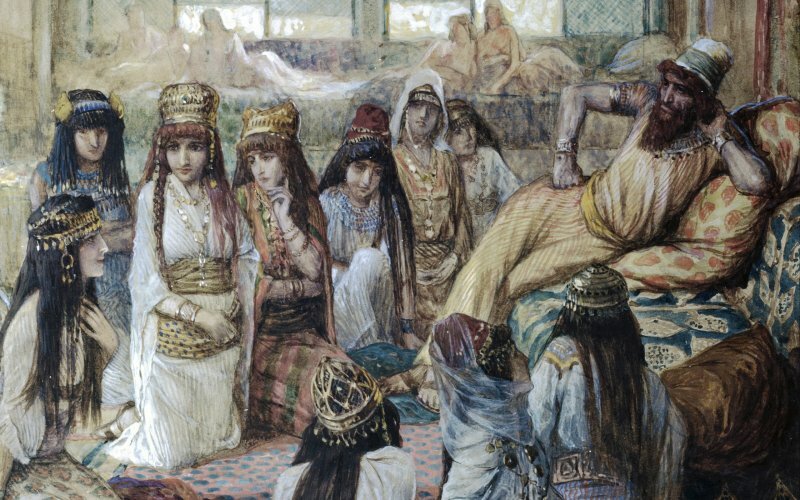 The Hebrew law did indeed provide provisions for polygamy. Much like the law provided provisions for a kingship, though God told Samuel that in asking for a king Israel was rejecting Him (1 Samuel 8:7). It follows then that the law was not a picture of a perfect society, but a “tutor” as Galatians 3:24 states to give the people some sense of guidance until the Messiah came. Also, please note that instead of cherry picking verses for my argument, I advocated the simple approach of analyzing whether the Bible portrays polygamy in a positive, neutral, or negative light. I became an atheist because of reading the bible AND because there is no valid proof. Also, science provides much more fascinating wonders! Thanks for the feedback. As the previous commenter pointed out, when reading the Bible our own biases can easily creep in. We may find ourselves picking and choosing parts of the Bible to use in specific ways to support our own desired ends. I sincerely hope that this was not the case when reading the Bible turned you to atheism. The Bible is actually a pretty incredible book with some amazing and powerful teachings! I’m not sure how you define “valid proof,” but I don’t believe that either theism or atheism can be objectively proven. Both are a matter of evaluating evidence and making an educated decision. If you’d like to know more about the evidence that leads me to a belief in God, consider reading my post “Where Does Consciousness Come From?” In it I comment on how contemporary science is actually discovering God piece by piece all over again after having supposedly dispensed with Him forever. If you define science as the pursuit of knowledge about the world through observation and experimentation, then there is no reason why science and the Bible must be mutually exclusive. If you are interested in the harmony that actually exists between the Bible and science, consider checking out some of my other articles. And science does indeed provide us with some fascinating wonders! My article on Morpho butterflies gives a great example of the amazing things science has revealed in nature. Never stop searching! We will both always have more to learn.